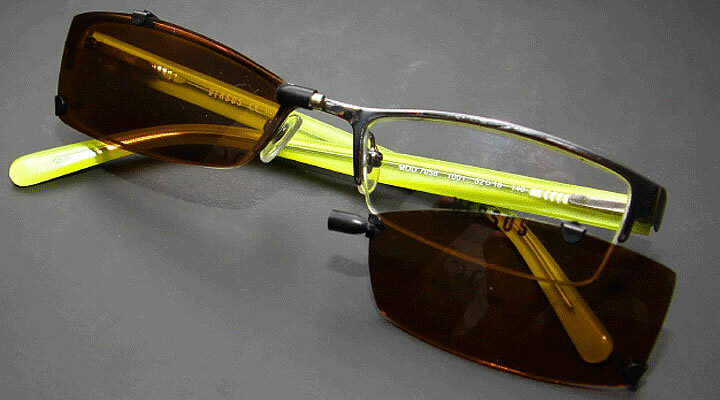 The Ultralite Sunshades attach to your eyewear using 4 synthetic clips which hold the clip-ons securely onto your frame. 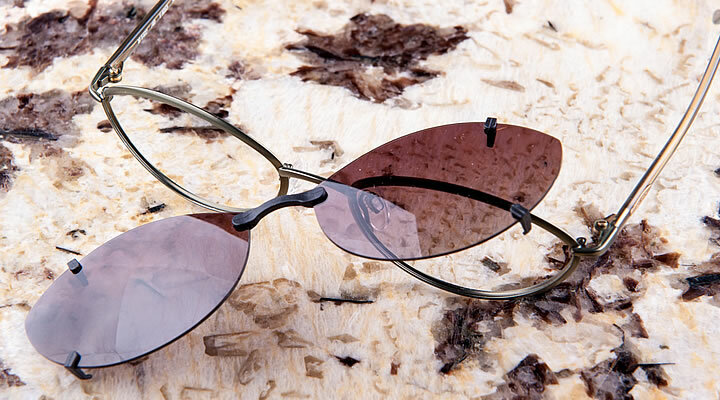 The synthetic clips are safe for use with metal frames, plastic frames and silhouettes. The Lowepro is attached to your eyewear by a central magnet that connects the two lenses to each other while 4 rubberized clips hold the clip-ons securely onto your eyewear. 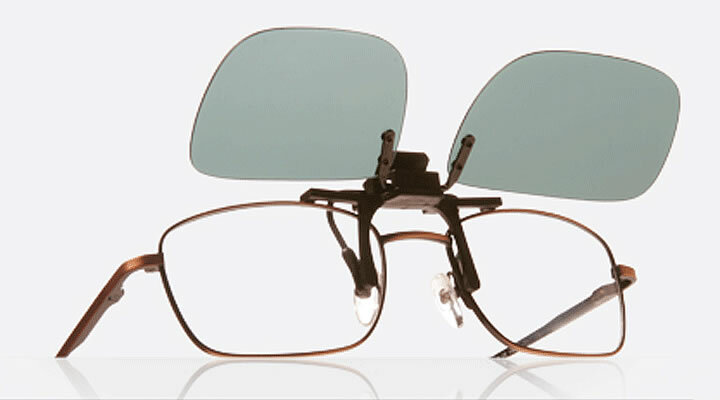 The Flip-Up is attached to your eyewear by a central spring mechanism that connects the Clip-ons securely onto your eyewear.